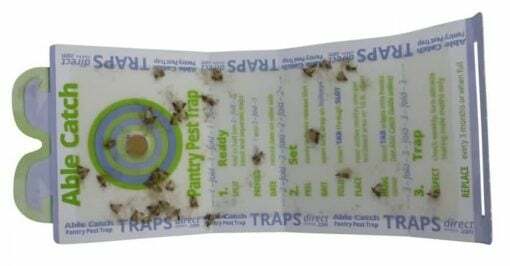 Every year, moths… I don’t know where they come from, but they make me sick. After buying big box pest traps that never worked, I came across able catch traps. The design is clever, AND the lures and shape work great..
MADE in the USA and to us that still matters. How do the tab hooks work? 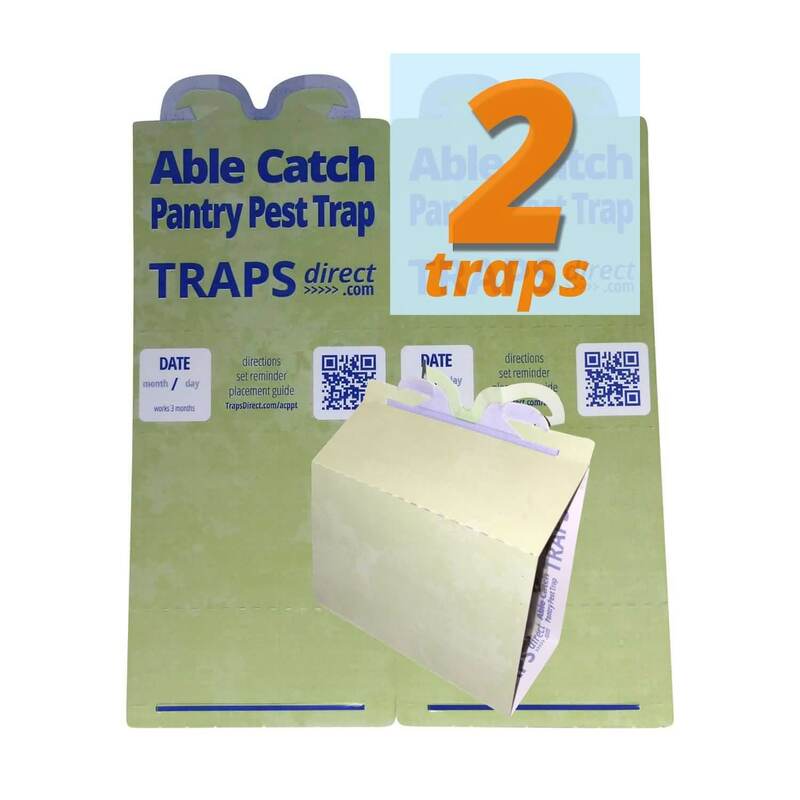 Once assembled able catch trap arched tabs can be bent backwards to reveal hooks. 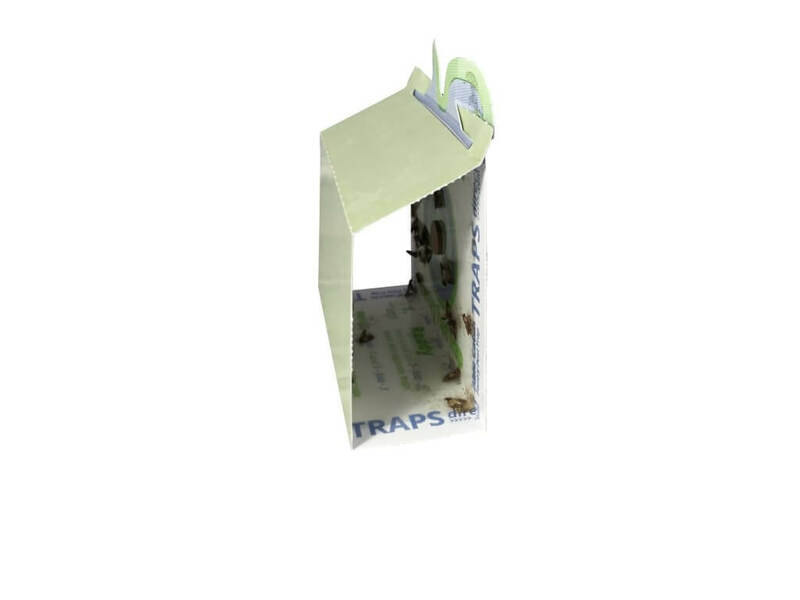 The slim hook can be used for wire shelving or window blind cords, or break the second notch for deeper hook that can hang from picture frames or door frames… Using the tab wings means the moth traps have a zero foot print, and places the trap at the level of a flying moth. Able Catch pest moth traps work the better than the Orange or Red 812SD catchmaster at my local dollar store. With Free shipping on everything, it’s still less money than the Dollar store..
Next time, I am getting the 8 pack special.